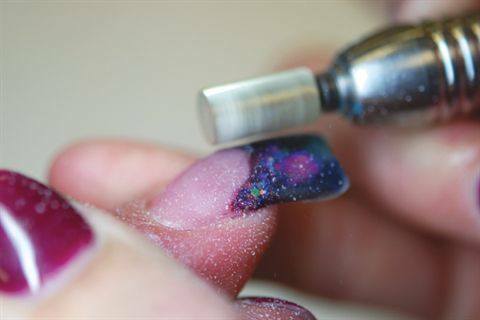 Sambrano also uses pieces of Mylar embedded into the nail to give it depth and a holographic effect. 1. 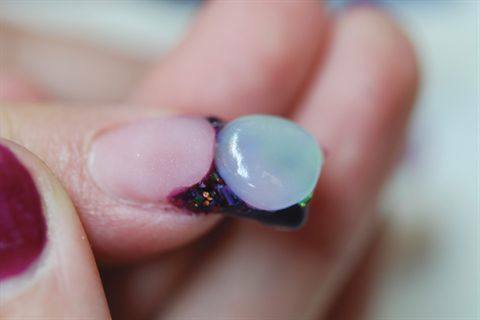 Prep nail. Apply two coats of Protein Bond. With a reverse applica­tion apply the pink and tuck in the smile lines on all 10 nails. 2. 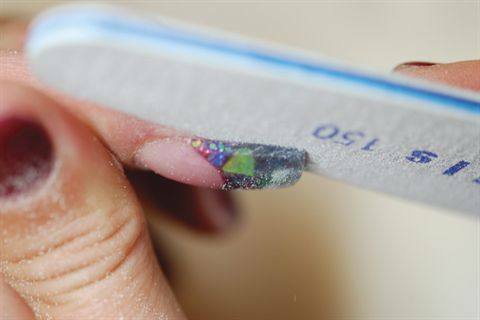 Apply a nail form, making sure to follow the growth channel for proper place­ment. Apply a thin layer of Speed Clear flush to the free edge, making sure the side walls are even. Pinch in the C-curve and remove the form. 4. Pick up another pearl of Speed Clear with your sec­ond color of Liquid Art and fade it down the free edge. 5. 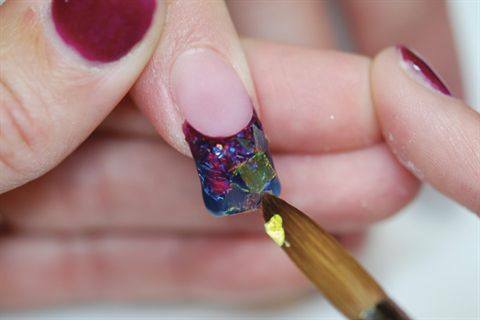 Before the free edge dries, use the tip of your brush to pick up My­lar pieces and place them into the setting acrylic. 6. Cap your free edge with Speed Clear. If you have some Mylar pieces that won’t lie flat and stick up through the clear, leave them; they will be filed off. 7. 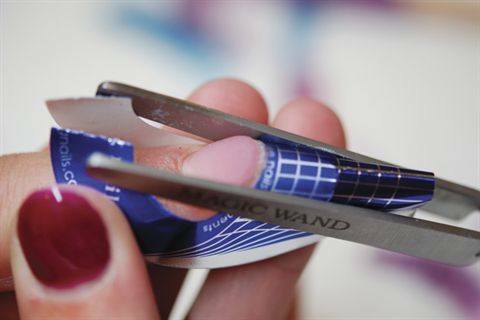 Allow the nail to dry and file excess away with your electric file. 8. File finish with a zebra 150-grit file and 180-grit combo buffer. Apply Finish, cure for two minutes and condition with Rose Oil. 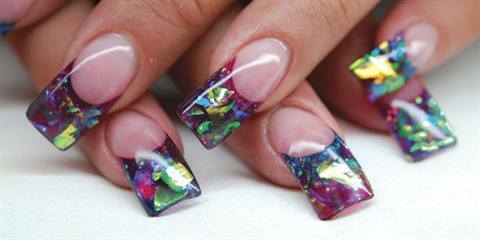 For more information, go to www.youngnails.com.